The goal of this review is to outline the prevalence and significance of occipital headaches in children and how they relate to neuroimaging findings. We seek to evaluate the concern that occipital headaches in children are indicative of secondary headache pathology by reviewing the yield of neuroimaging in pediatric patients with occipital headache location. Occipital headaches are a common presentation of primary headache disorders in children, seen in 7–16% of children presenting for evaluation of headache and in up to 20% of children diagnosed with migraine in the emergency department. Review of recent literature confirms that in and of itself, occipital location of headache in a child with recurrent headache and a normal physical examination should not be regarded as worrisome. Headaches with associated signs on neurologic examination should be investigated for a secondary cause, regardless of headache location. Occipital headaches that do not meet criteria for a primary headache disorder should be evaluated for site-specific occipital headache conditions. Neuroimaging for recurrent headache in children who have normal neurological examinations has an overall low yield (0–4.1%) for actionable findings in recent studies. Importantly, an abnormal neurologic examination often predicts the presence of neuroimaging abnormalities. In the absence of an atypical history or abnormalities on clinical examination, occipital headaches in children are no more likely to be associated with intracranial pathology than headaches in other locations. If the child’s headaches are otherwise consistent with migraine or another primary headache disorder, and the neurologic examination is normal, the yield of neuroimaging is low, and imaging can generally be deferred. Dr. Samantha Irwin is the co-founder and CEO of a company named HeadSoothe Nutraceuticals Inc. which is working to develop a combination nutraceutical for the treatment of headache in children. This company is not associated with this work. Dr. Amy Gelfand has received honoraria from UpToDate and consulting fees from Zosano, Eli Lilly, and Biohaven. eNeura provides consulting payments for work done by Dr. Gelfand to the UCSF Pediatric Headache program. Her spouse receives consults for Genentech, research support from Genentech, Quest Diagnostics and MedDay, and personal compensation for medical-legal consulting. Irwin S. When to worry about a migraine and seek emergency medical attention. https://americanmigrainefoundation.org/understanding-migraine/migraine-stroke-heart-disease/. 2016. Frishberg BM, Rosenberg JH, Matchar DB, McCrory DC, Pietrzak MP, Rozen TD, et al. 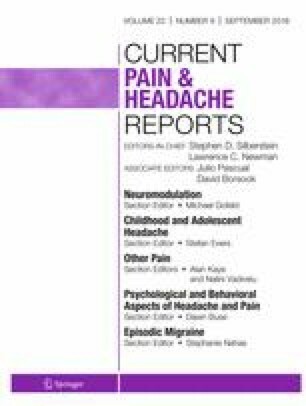 Evidence-based guidelines in the primary care setting: neuroimaging in patients with nonacute headache. Am Acad Neurol [online] http://tools.aan.com/professionals/practice/pdfs/gl0088.pdf. 2000;1–25.